Franklin, Hamilton, Hibiscus Coast, Manukau, Rodney, Silverdale, Tauranga, Wellington, Whangarei and more. Replacement service helpline operates 24 hours a day, 7 Days a week for booking and advise regarding replacing your F10 F12 F16 windscreen or glass. We replace, repair glass and windscreens for all models of Coaster. If you have full cover insurance there is usually nothing for you to pay. We direct bill the insurance company for your F10 F12 F16 windscreen or glass replacement. or glass to the highest standards. Lifetime warranty on all work. 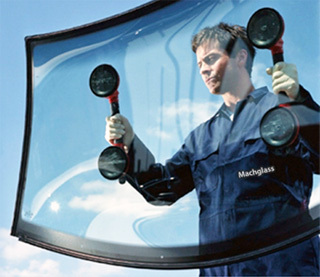 The Machglass team understand the trucking industry, deadlines and driver stand down times. We work in with you to make everything happen and keep you on the road. Whether you have one truck, a fleet or a large infrastructure company we have the product and experience to get the job done.